Former California Governor and movie star Arnold Schwarzenegger recently made waves in the news when he urged people to try to go meat-free once or twice a week for the sake of the environment. Recognising that many people would find it challenging to go fully vegetarian, he wisely pointed out that "People will buy in to stop eating meat one or two days a week - you have to start slowly. It's a very big challenge but it doesn't mean it shouldn't be done." The factory farming industry has a very large carbon footprint. Producing 1kg of meat protein is calculated to take between 3 and 10kg of vegetable protein. Emissions from farming, forestry and fisheries have nearly doubled over the past 50 years and may increase by another 30% by 2050, according to the United Nations. Most of the emissions from meat farming come from belching livestock and nitrogen fertilisers. People go vegetarian and vegan for many reasons -- religious, health, environmental and ethical -- and all these reasons are commendable. Whether you are a full-time vegan or vegetarian or someone trying to reduce his or her meat intake, all efforts to eat fewer animal products should be encouraged and applauded. No effort is too small or negligible. We may not volunteer for environmental organisations, clean up oceans, plant trees, or save endangered wildlife every day, BUT we do eat every day, and therefore even small changes to our diet will make a large difference over time. 1. Identify good reasons for going vegetarian or reducing meat consumption. If your goal is to impress somebody you like or just to reduce enough weight for a special occasion, you might not stick with the goal for long. To remind yourself of your reasons and goals, it may be helpful to visit websites such as Mercy for Animals (http://www.mercyforanimals.org/), Humane Society International (http://hsi.org/), and One Green Planet (http://www.onegreenplanet.org/) or watch documentaries such as Earthlings to educate, empower and motivate yourself. Be forewarned, though, that the graphic images in some of these documentaries can evoke strong emotions. 2. Start small. Meatless Monday is an easy, painless way to start. Increase it to two days a week, and then increase it until you can be a Weekday Vegetarian. When you are ready, transition into a full time vegetarian and finally, into a vegan. 3. Start by eating lower on the food chain. "First, four legs, then two legs, then no legs" is a good way to start. What it means is that you start by eliminating beef, mutton, pork and venison from your diet, and once you are able to do this, move on to eliminating poultry, and finally, eliminate seafood, fish, eggs and dairy from your diet. 4. Mark 'cheat days', for example, parties and holiday dinners, into your calendar so that you will not feel deprived if you are accustomed to enjoying meat. Make a conscious effort to go vegetarian on all the other days leading up to the 'cheat days'. Allowing yourself 'cheat days' makes the transition easier. Over time, you will find that your body no longer craves meat or animal products and you can go without 'cheat days'. Don't feel guilty about relapses or occasional cravings. You need to feel positive, confident and joyful about the decision you are making to eat less meat for the environment and animals, and guilt and negativity are unproductive. If you do relapse, just get back into the groove of meatless meals as soon as you can. 5. Keep healthy, satisfying vegetarian snacks and ready-to-eat meals at home and at work so that you will not be tempted to relapse. Many people believe that vegetarian foods are not filling or nutritious, because they tend to choose processed food filled with carbohydrates and sodium or sugar, or fruits and vegetables without a protein component to fill an empty belly. Have a variety of sweet and savoury snacks at hand, for example, nuts, hummus, high-fibre crackers, roast soybeans, air-dried noodles, vegetable soup stock, frozen vegetables, fresh and dried fruit, carrot and celery sticks, and peanut butter and other spreads. 6. 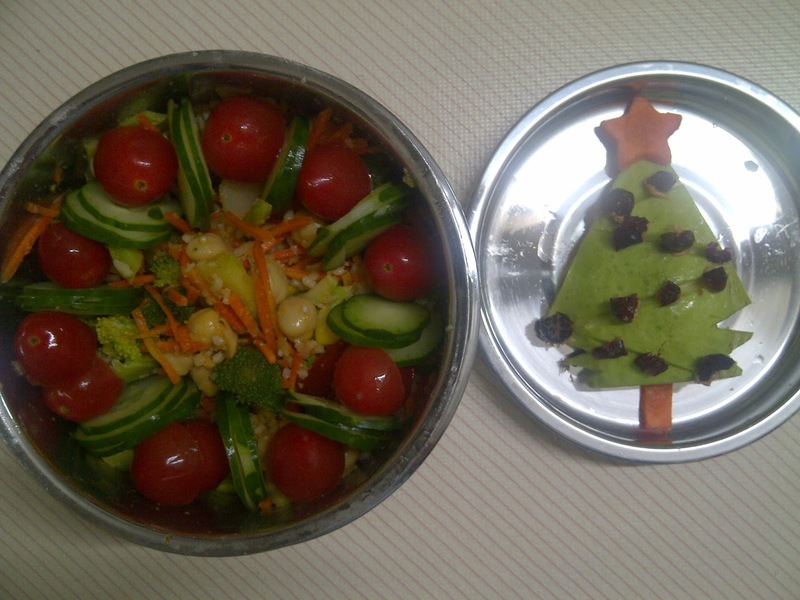 Prepare vegetarian food to bring to parties and gatherings so that you will have something meatless to eat. It is also a good way to introduce others to vegetarian food. Chances are, there will be at least one other vegetarian there. Don't be afraid to make the same dish for every gathering if it very popular the first time around. 7. Identify good sources of vegetarian protein, calcium and iron that do not involve supplements, powdered shakes, and mock meat. Reduce the consumption of processed foods and mock meat, as the latter is filled with sodium and empty calories. Hummus, chickpeas and edamame beans are rich in protein. Kale, alfalfa, spinach, broccoli, beetroot and kailan are rich in calcium and iron. Find something you like and don't be afraid to eat it often, as it is preferable to making something you hate and having to throw the leftovers out. 8. 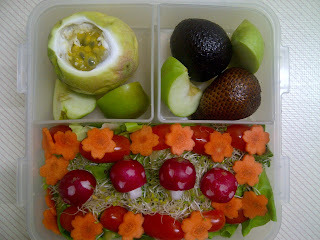 Eat a wide variety of fruits and vegetables to get your minimum of five-a-day. Use sauces, dressings and other hacks to train yourself to like fruits and vegetables you would not usually eat. Grind or chop up vegetables to add to pasta sauce or soup. Blend beetroot or kale with chickpeas to make delicious and addictive hummus spreads. Add vegetables to smoothies and disguise their flavour with lots of fruits (e.g. carrots with oranges, beetroot with strawberries). I have also found that hardly anyone would turn down a colourful and vitamin-laden salad if you chop everything up finely and dress the salad with sesame dressing for an Oriental-style salad, or with salsa and corn chips for a Southwestern taco salad. 9. Visit websites such as Happy Cow (www.happycow.net/) or download apps such as Kindmeal.my (http://www.kindmeal.my/) to make the search for vegetarian and vegetarian-friendly restaurants easier. Set yourself goals such as to try a new restaurant or a new food each week. 10. Visit websites such as Vegan Richa (www.veganricha.com/) and One Green Planet (http://www.onegreenplanet.org/) for easy vegetarian and vegan recipes. Don't be afraid to try new foods and recipes, and at the same time, don't be afraid to keep repeating a handful of recipes that you do like. Keep a few staples in your pantry and stock your refrigerator so that you do not run out of fresh produce and vegetarian ingredients. 11. If you are just starting out as a vegetarian and want to try a meatless meal, go for vegan versions of your favourite meals, e.g. lasagna, pizza or curry. This will increase the chances of you liking the vegan version, and there will always be a go-to dish you can rely on when faced with a menu full of things you are uncertain about. 12. Don't expect substitutes to taste like meat. They usually don't. Mushrooms will taste like mushrooms and chickpeas will taste like chickpeas. If you expect any different, you might develop the impression that a particular meatless dish tastes 'weird', 'fake' or 'inferior to meat'. 13. People often claim that vegetarian meals are unhealthy and expensive. They are not. Going vegetarian isn't unhealthy -- eating mock meat and processed food is. Vegetables and fruits aren't more expensive than meat, even if you are buying mostly organic -- but eating out in restaurants all the time or buying imported and processed foods (especially substitutes such as vegan cheese and almond milk) can be! Make wise choices according to your budget and nutritional needs. 14. Make your meals attractive so that you will look forward to eating them. 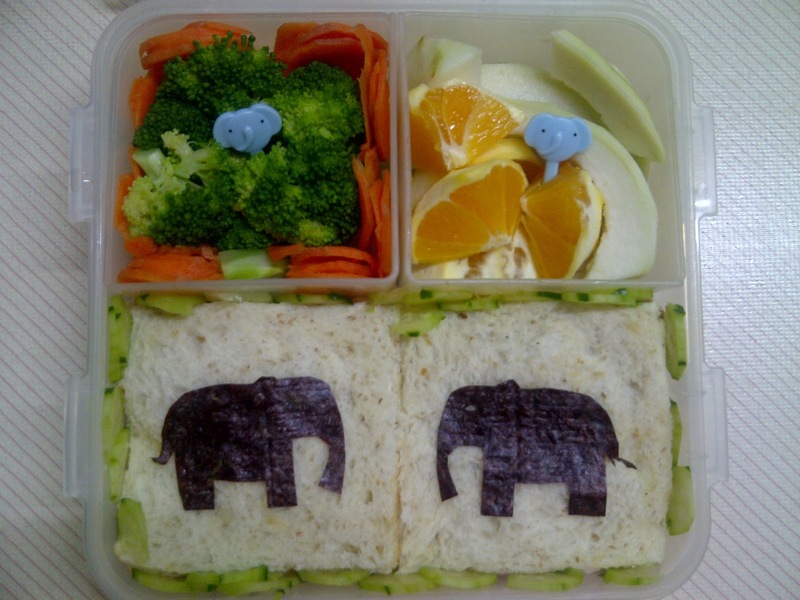 A bento box filled with colourful sliced vegetables and neat sandwiches is easy and inexpensive to prepare and pack, and fun and convenient to eat. 15. Find other ways to green your meals. Buy local, seasonal and organic whenever possible. Choose products with the least plastic and packaging. Go for fresh or frozen instead of processed foods. Choose products with no vegetable oils that are linked to deforestation and environmental destruction. 16. Be a joyful vegetarian. Prepare and eat meals that make you feel good. Don't isolate your friends who are not vegetarian. Don't preach or brag about your choice to go vegetarian or shame others for what they choose to eat. Join friends for meals out and parties, but choose the vegetarian option or bring a dish you can eat, so that you will not feel left out. Most restaurants have at least a few vegetarian options, or are happy to customise a dish for you. Be positive and optimistic, for many others like you are also making a conscious effort to consume sustainably, responsibly and compassionately!